Designed by Indian interior architect Annu Bains, contemporary Indian restaurant ISH sits at the intersection of traditional and modern. 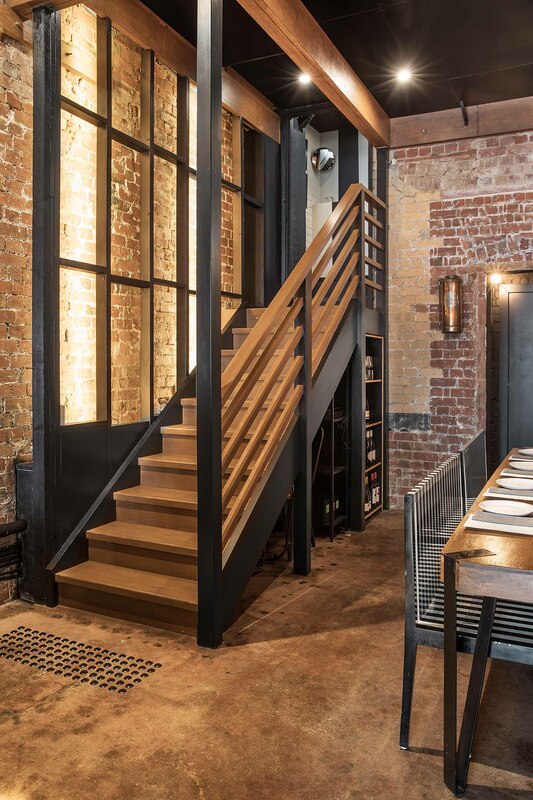 Located in Melbourne’s Fitzroy the restaurant is split across two levels: downstairs, the moody dining room features a palette of tan, warm timber and black. A black leather banquette wraps the floor to ceiling windows at the front of the venue, adjoined by tables of two. 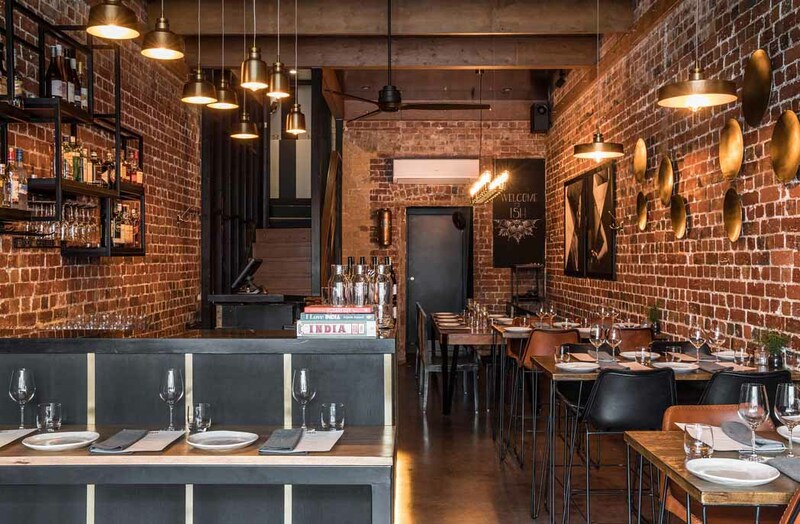 High hardwood timber tables line the exposed brick wall, accompanied by black and cinnamon leather chairs with woven detailing. 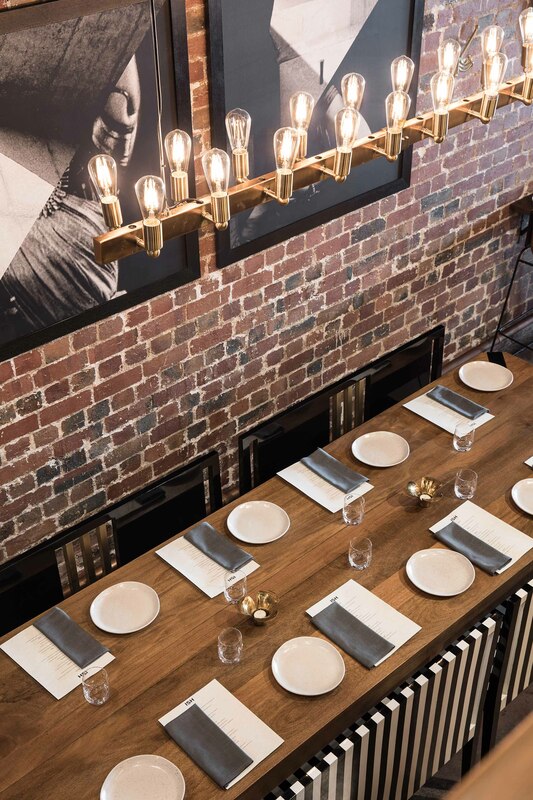 A long communal table and bespoke black and white-striped pews are lit by an elaborate brass candelabra, while a long, black and brass-striped bar made from stained oak veneer is illuminated by staggered pendant lighting. 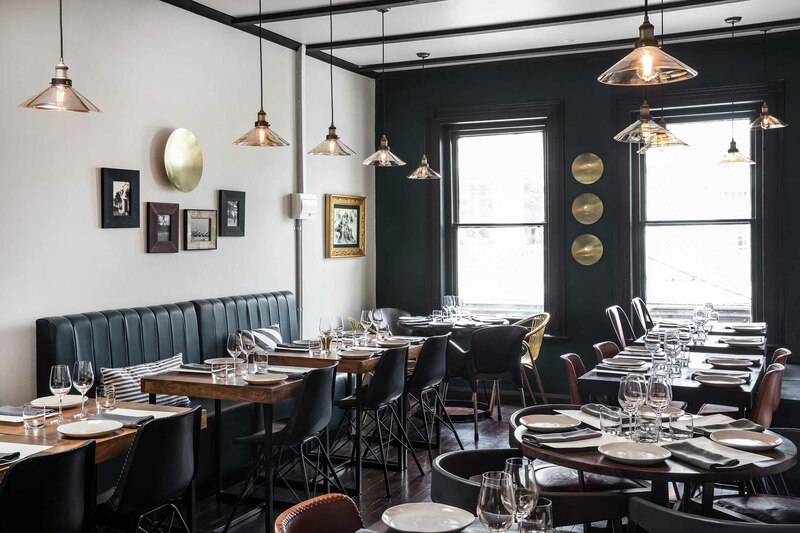 Upstairs, white walls balance dark timber floors and leather banquette seating lines on the wall, with brass, timber and leather chairs stationed at circular and rectangular tables. The interiors are composed entirely of bespoke fittings and furnishings from India, many of which Bains designed. Brass accents throughout the venue reference the country’s ancient heritage, appearing in contemporary form as bespoke plates used to decorate the walls and a variety of light fittings. “Taking cue from the site’s heritage status, the design for ISH reflects a traditional and modern sensibility with a nod to our Indian heritage,” says Bains. 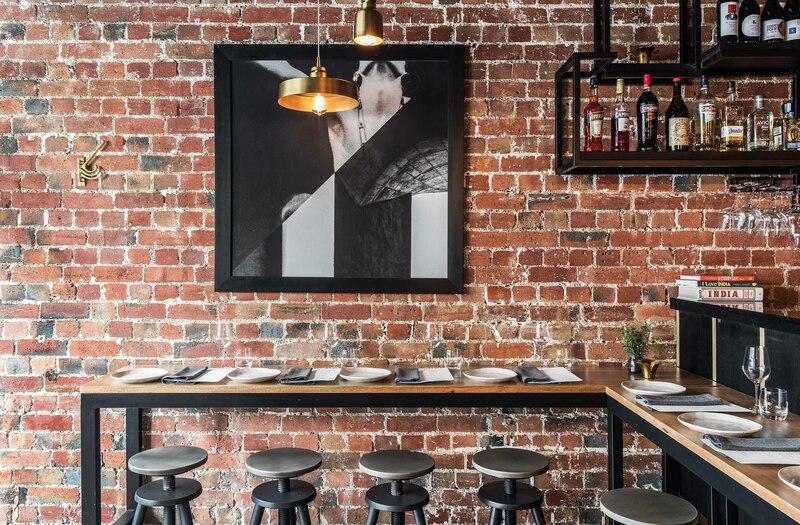 Bains collaborated with Melbourne design practice Studio Round to the create unique artworks on ISH’s walls in which a diagonal line dividing black and white represents the intersection of old and new, the consistent theme throughout the design.